BBC 4K HDR World Cup confirmation a week away? | What Hi-Fi? BBC 4K HDR World Cup confirmation a week away? “Watch this space,” says BBC spokesperson. 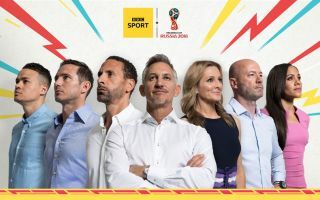 There’s only one thing we’ve speculated on harder than England’s imminent success (or lack thereof) in the run-up to the World Cup: whether the BBC will follow several European broadcasters and offer the 2018 FIFA World Cup in 4K and HDR. Last month, the broadcaster (which has the rights to 33 live games in the tournament), trialled a live 4K broadcast via iPlayer for the first time. It also recently streamed the second half of the FA Cup Final tie between Chelsea and Manchester United. Things have been looking good for 4K TV-owning football fans, but so far the Beeb has only confirmed World Cup coverage in HD. Indeed, the story has been up and down more times than a toilet seat, so it shouldn’t be surprising another week brings another plot twist. “We are confident we can cope with it all streamed live on the [iPlayer] website,” he added. While IBC reiterates the BBC won’t commit to a confirmation at this stage, which is in line with our correspondence with the broadcaster, the time frame indicated by Bigwood suggests we could have an announcement as soon as next week - which is less than a fortnight before the tournament kicks off on Thursday 14th June.